It’s almost time for the Spring Road Easter Egg Hunt, which happens on Saturday, April 20. The fun starts at 12:30, with the arrival of the Easter Bunny, who will be on-hand to meet and greet all the children attending the event. Afterward, the kids can join the egg hunt and look for the candy-filled eggs scattered around Wild Meadows Trace. 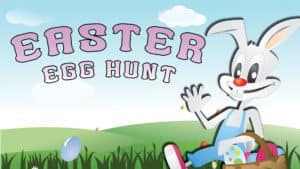 All of us at Elmhurst Toyota are glad our community has great events like the Spring Road Easter Egg Hunt for children to enjoy, and we hope you can make it this year. If you’ve been wondering how the Easter Bunny and Easter eggs became symbols of Easter, we have the answer. When German immigrants arrived in Pennsylvania in the 1700s, they brought their tradition of Osterhase (Easter Bunny) with them. At that time, the Easter eggs were hard-boiled eggs, and participants in the egg hunt used nets to gathers the hidden eggs. Later, nets gave way to Easter baskets, and prizes included things like chocolate, coins and toys. Today, you can buy beautiful Easter baskets filled with chocolate Easter bunnies and candy. No one is really sure how rabbits became associated with the Easter holiday, but some believe it originated with the Romans, who thought all life comes from eggs. Others believe the link between rabbits and Easter rabbits came from the Pagans, for whom rabbits symbolized the moon, and eggs symbolized the sun. Since the Spring Equinox, is the time when the day and the night are both of equal length, the rabbit merges with the egg. We’re sure your entire family will have fun at the Spring Road Easter Egg Hunt! Arrive early and bring your Easter basket. The Spring Road Easter Egg Hunt takes place Saturday, April 20, from 12:30-2 p.m. The Easter Bunny will meet and greet children starting at 12:30. The egg hunt begins at 1 p.m. sharp. Visit https://springroad.com/our-events or email info@springroad.com.